I love, love, LOVE this shop. I found it when I was looking for an actual pineapple ice bucket, but there are so many amazing things in this shop apart from bar-ware. There’s kitchen equipment, furniture, fabric, clothes (for men and women), greetings cards, Christmas decorations and loads more. Most items have free UK delivery and really reasonable price tags. I want to show you practically everything, but let’s start with the unused 1970s greetings cards. 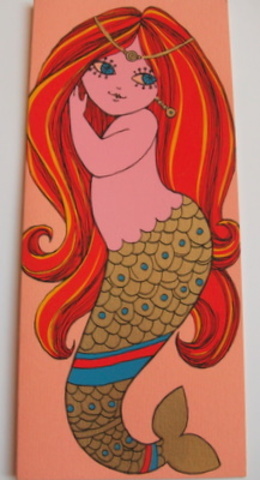 This mermaid card is so gorgeously retro and just £3. 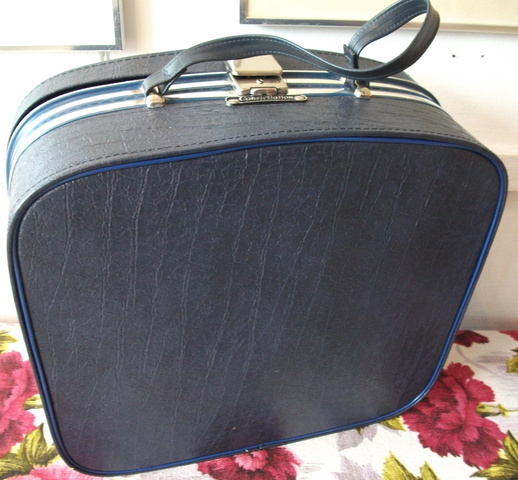 I used to have a small suitcase like this in cream that belonged to my grandmother. Perfect for storing things in at home if you don’t want the baggage handlers to bash it about. Did I mention it has pink lining? It’s only £25. 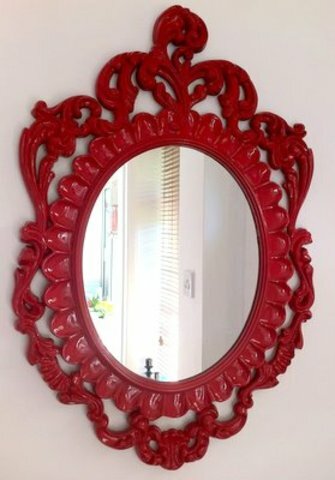 I want this plastic 1960s mirror for our bedroom, it will match perfectly when we finally get around to redecorating. But that’s a while away and I’m sure one of you will snap it up before then. 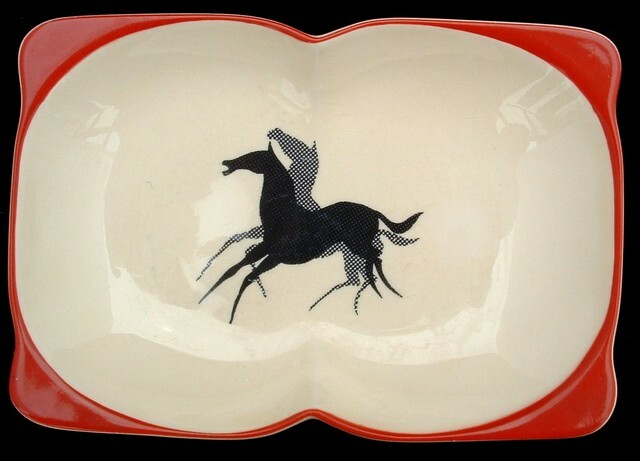 Always a fan of animals stampeding, the running horses on this dish grabbed my eye immediately. Look at their beautiful tapered legs. Pineapple Ice Bucket Retro have loads of lampshades that would match their beautiful 1960s turned wood lamp base. 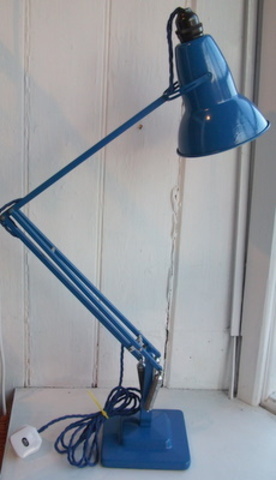 Finally, this blue 1970s Herbert Terry anglepoise desk lamp is refurbished with a blue fabric flex, the most expensive of the things I have shown you at £110, but possibly the most hankered after? If you want to have a rummage through their stock, Pineapple Ice Bucket Retro have a shop in Brockenhurst in Hampshire. Or look out for details on their blog of the vintage and retro flea market they will be doing one Saturday in Lymington. Seriously, go and look at the site. When you’ve had a look, come back and tell me what your favourite item is – I’d love to know!